The exhibition “No Woman, No Cry” at Muriel Guépin Gallery features the work by three women whose subject matter is the female identity in society. They reference both the tradition of feminine crafts, as well cultural expectations. Holly Laws has created a series of small, detailed, handmade models of historic garments. Her intricate “Cage Crinoline” sculptures show the mathematics involved in the design of these 19th century hoop skirt figure enhancers. They are on display under glass domes, hinting at the Victorian practice of preserving and displaying things like a tiny skeleton in a cabinet of curiosities. The structure for “Cage Crinoline 1864” consists of a series of concentric ellipses. They have been used to create a vertical column with two perpendicular reflection planes of symmetry. With the utmost precision Laws has built a 3-dimensional expression of the aesthetic qualities of ellipses. This complex geometry has been used in a miniaturization of an undergarment that if it were an actual garment would not even be seen in public. The mathematics would be hidden under a showy display of skirt fabric. 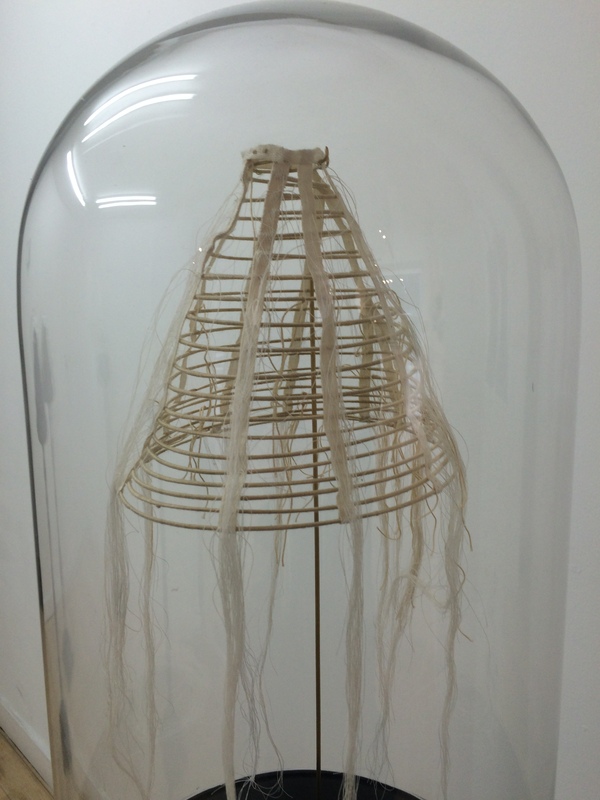 I was really drawn to this “Crinoline Cage” because it reminds me to look beneath the surface and in unexpected place to find the beauty in Mathematics.